Apple recently released it’s winners of the 2017 Design Awards. The annual event showcases some of the most outstanding design and innovation in the digital space. The awards are in their 20th year and “recognize excellence in design, innovation and technology in apps and games across iPhone, iPad, Mac, Apple Watch and Apple TV.” The 2017 slate of represent eight countries — Austria, Canada, Germany, Israel, Italy, Singapore, Slovenia and the United States. Many of the winning designs can be a precursor of trends and feature a few apps you might know as well as some others that are new. Here’s a look at our favorite projects from the 12 winners (you can find full biographies from Apple) and what you can learn and apply to your design projects from some of the best design in the world. 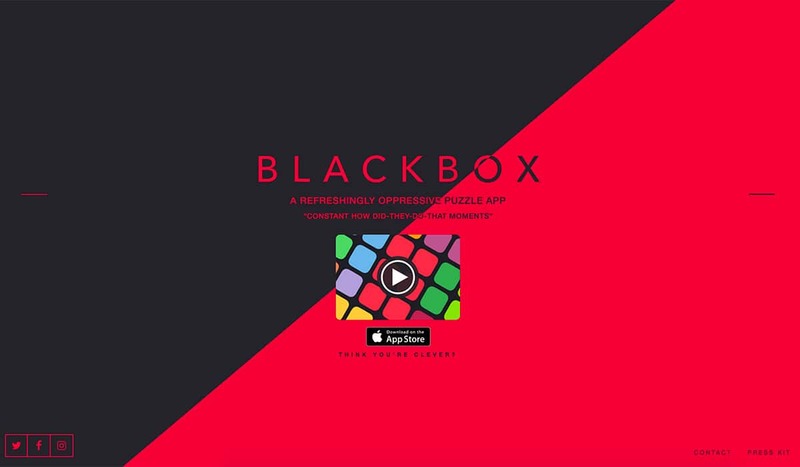 Word of caution before you download Blackbox: It is a rather addictive game. The beautifully designed interface is full of color, streamlined typography and seamless interactions. Design trend: Here’s the takeaway for designers thinking about game and app design: Blackbox uses an interface that doesn’t require touch. The game works by having users move their device, activate elements with voice cues and think about merging the digital and physical worlds. Not only is Lake a beautiful app, it can help you de-stress as well. The touch and haptic integrations are so seamless, the user doesn’t even think about how to use the app. 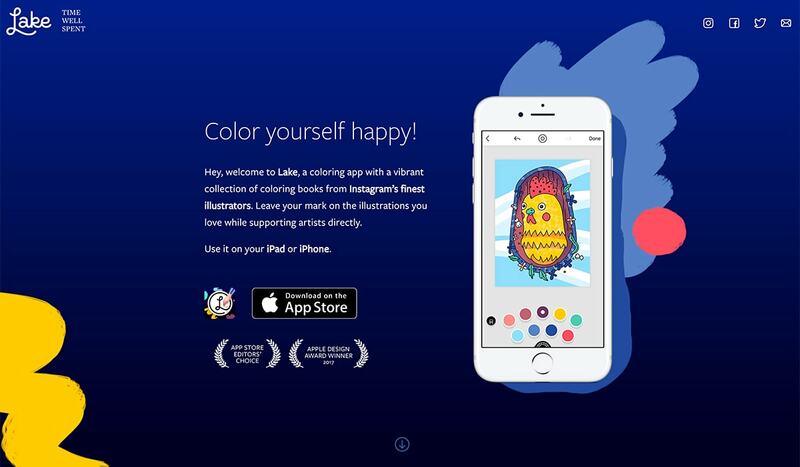 It looks and feels so much like a real coloring book, but you never have to worry about forgetting pencils or markers since the app is just a couple taps away on an Apple device. Design trend: Designing with touch is an integral part of the mobile user experience. And it is gaining popularity on other devices as well – even more laptops and desktops are using touch-based screen interactions. Lake does this so well. The coloring “pencils” respond to pressure as you draw on the screen, the colored areas look and feel like using actual pencils for brushes with thick and thin lines and edges. Then Lake adds an extra component to the usability of the design by letting users save their artwork in a gallery. Visual cues, sleek animations and microcopy throughout the app help guide the user experience. It’s a great showcase into what a simple interface can do to help show users how to use an app and make the most of its functionality. 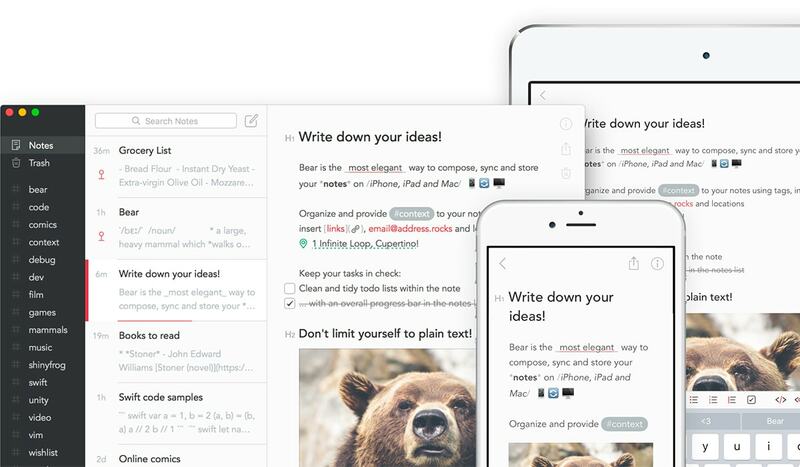 Bear is a minimal-style writing app that is for making notes or even crafting more longform writing. Users can link notes to each other to build a body of work and use hashtags to organize for the way you think. All notes are stored in portable plain text. Design trend: Design does not have to be complicated or overly “designed” to work well. This app is so simple in look, but big in functionality. The light background with dark text is ideal for writing. The sidebar uses a reverse color scheme for contrast. The visual composition of the app is organized and a great example of how to stack and layer content. 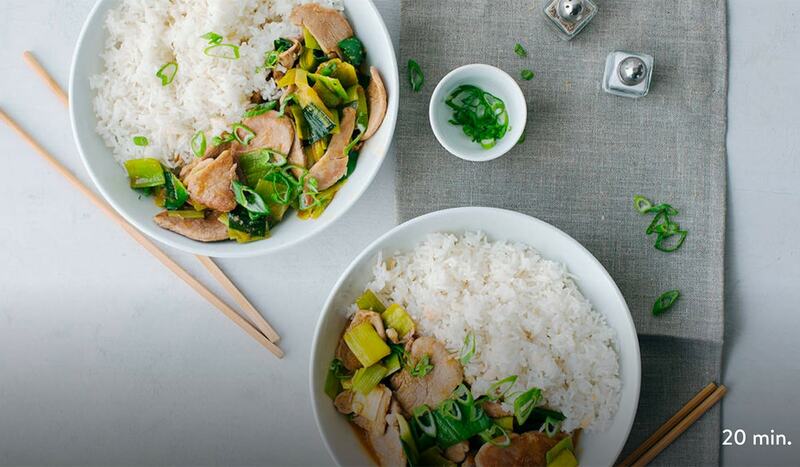 Kitchen Stories is more than just a recipe app, it is a cooking experience. The app is packed with recipes and video to help anyone figure out how to prepare almost any meal in the database. Some of the best features include the ability to watch video on a large screen (such as Apple TV) and recipe shopping lists that are generated from the app to make meal prep a breeze. Design trend: Kitchen Stories is a full multi-media experience for users with video, text, notifications, lists and more. The design takeaway is that users want to have more immersive interactions with apps; you have to design elements that encourage engagement. Just popping a video on the screen isn’t enough to keep today’s user base interested for extended periods of time. 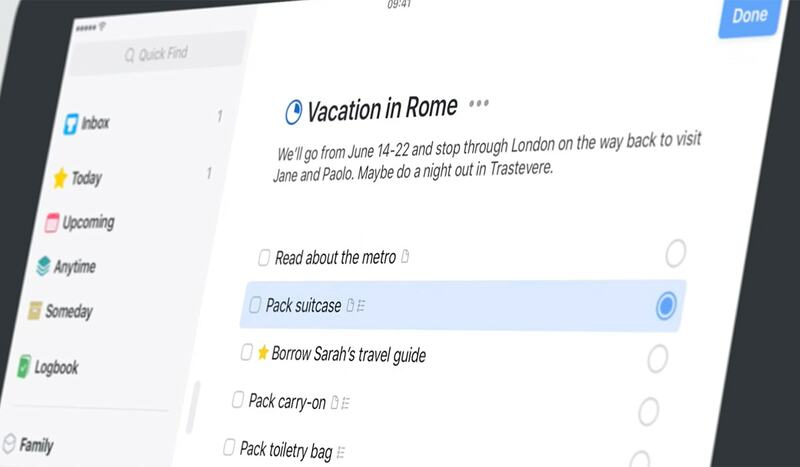 Things 3 will make you want to add things to your to-do list just so you can check them off. The app does a lot of things that other lists don’t, including the ability to move a shape lists in a bunch of ways across devices. Design trend: The differentiating factor for Things 3 is usability. The app acts like you would expect. Every tap and microinteraction has purpose. There’s not a lot of “junk” in the design. The aesthetic is also extremely clean, so that the actions and interactions are the focus of the interface. The key to app design in this manner is usability that users don’t have to think about, and that’s just what Things 3 does. Elk is a simple tool that makes life easier for world travelers. 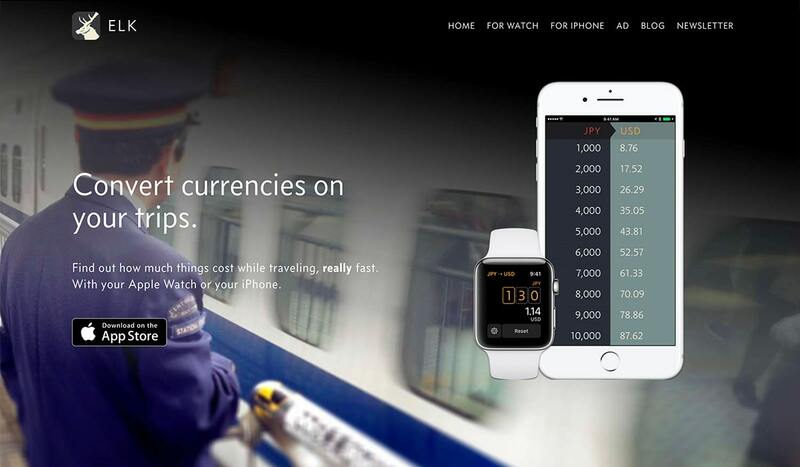 The app converts currency using real time, geolocation data and time zones. Plus, the app works on multiple devices, including the Apple Watch. The design is simple and sleek with nice typography and font sizing that makes every conversion easy to see at a glance. Design trend: Complicated tasks don’t have to look or feel complicated. They should be easy for users. That’s what Elk does. It streamlines something that could be hard for users to figure out into a simple interface. The use of geolocation and time zones is something that all app developers and designers should consider when working with projects that have any element of time or space distance. These are features that are becoming more important to users all the time and contribute to ease of use. The other app winners were equally impressive, and you should go look at the projects. Even better, make a point to download the apps and play around with them. You are sure to be inspired. Do you see other trends emerging from some of these design winners? We’d love to know what you think in the comments.